Why are our Exams better than Costco/Lenscrafters? 1. Does your doctor take a digital photograph of your retina? And does he show it to you? 2. Does your doctor have an OCT? (An advanced machine that that basically takes an MRI of your eye)A study recently found that with an OCT, Eye Doctors have found that up to 30% of ‘normal’ looking eyes-actually have current retinal conditions previously undetectable by a retinal exam. 3. Does your doctor check your Eye Pressure? And does he tell you what it was, and whether it is a concern or not? 4. Does your doctor actually care about you? Does he talk to you, ask your name, ask what your profession is, does he ask what your hobbies are?  All of these questions not only show whether he cares or not, but they are also important for me-in designing glasses and contacts and your prescription so that you get the best vision possible at both work, home, and play. 5. Does your doctor evaluate your cornea, eyelids, and conjunctiva? Did you know that 30% of all dry eye-is actually caused by eyelid and conjunctiva problems (not lack of tear production)? I examine all three of these factors in every full eye exam-and can help you treat all forms of eye irritation.6. Is your doctor able to find, diagnose, and treat Macular Degeneration, Glaucoma, and Cataracts?Both Dr Keiser and Dr Slaugh are Board Certified to treat, diagnose, and manage all 3 of these conditions. And honestly-if your doctor doesn’t have a digital camera, an OCT, and an advanced VF machine- they do NOT have the necessary equipment to treat you for those conditions. Come see us and we will show you why this equipment is so vital to monitoring the health of your eyes.